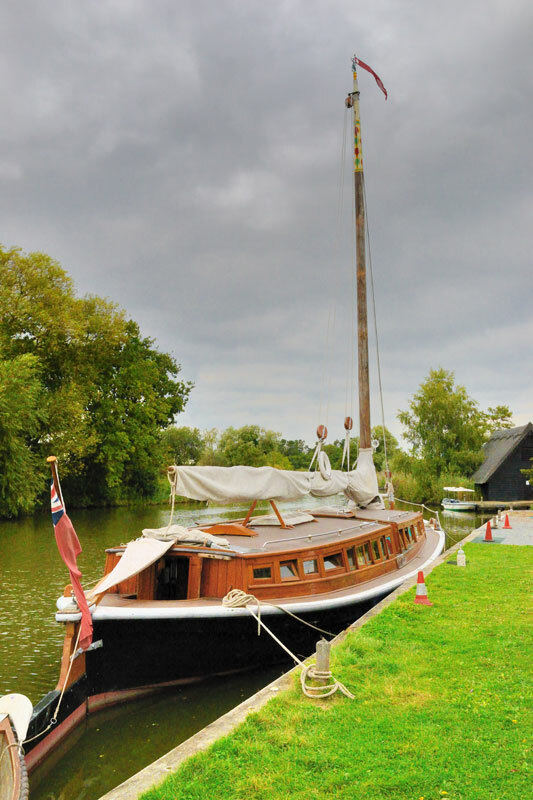 The pleasure wherry Hathor built at Reedham in 1905 by Daniel Hall is 56ft long with a beam of just over 14ft, a draught of 4ft and gross tonnage of 23. She was built for Ethel and Helen Colman daughters of Jeremiah Colman (Colman’s Mustard). Hathor is seen here moored at How Hill on the River Ant. 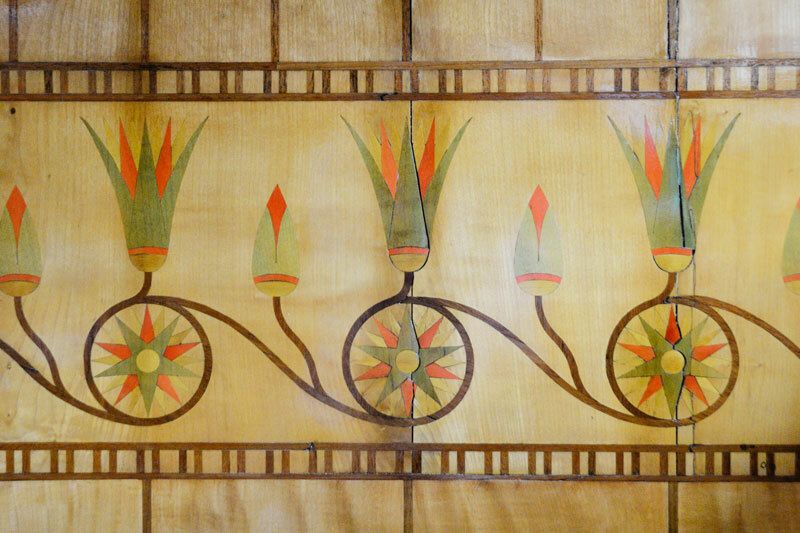 Architect Edward Boardman who was married to one of Colman’s daughters designed the interior with its Egyptian inspired hieroglyphics and mythology. 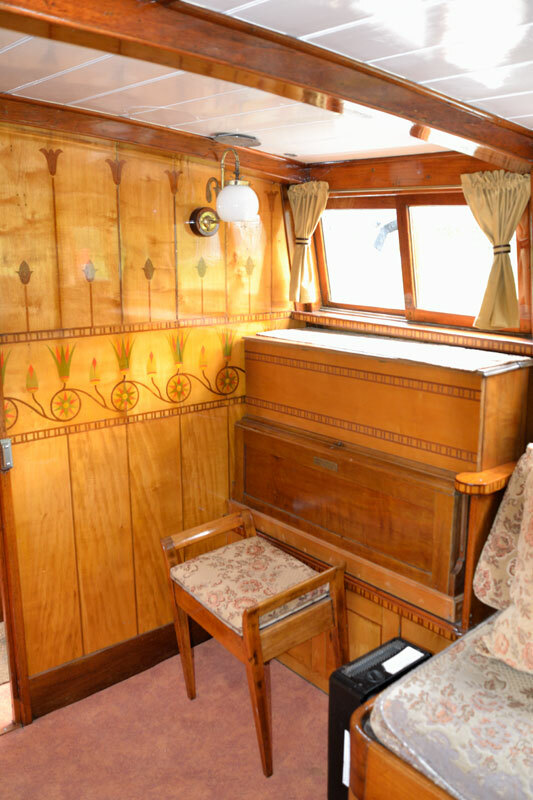 On board Hathor there are 4 double cabins, a galley, toilet, pantry and saloon with two double berths and a piano. The arts and crafts oil lamp design with its twin serpents head is inspired by hieroglyphic symbols found elsewhere on Hathor. 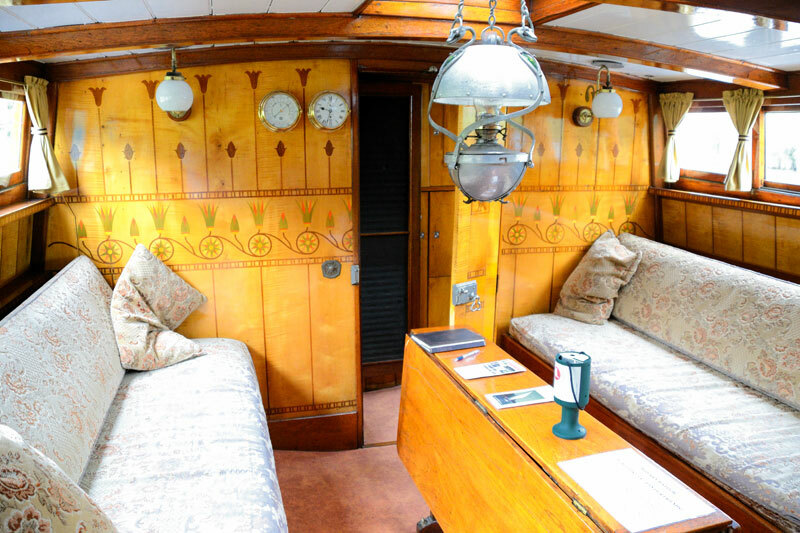 The five octave yacht piano in the saloon still plays very well as can be seen in this YouTube video – Playing Für Elise on the piano in the saloon of the pleasure wherry Hathor. 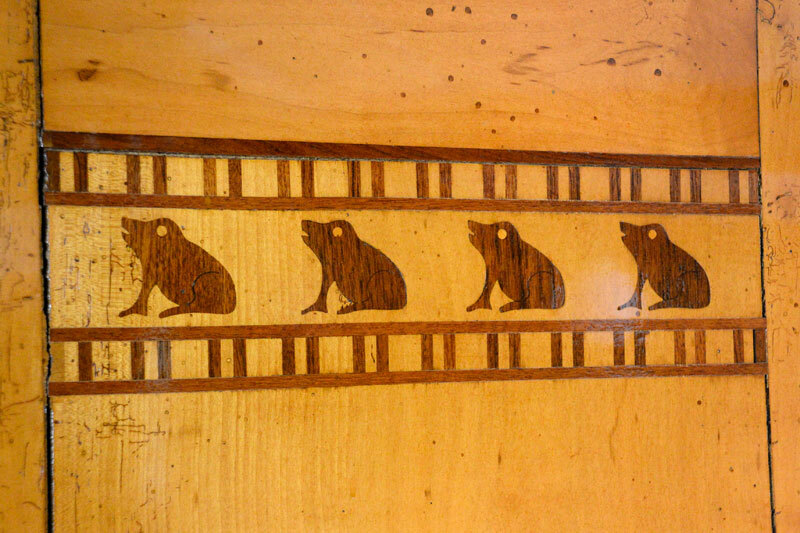 The marquetry in the saloon is sycamore with inlaid lotus flowers of teak. The Egyptian theme and the name Hathor is a tribute to Alan, Jeremiah’s son. Alan suffered with tuberculosis. Doctors recommended he spend the winter in Egypt accompanied by his physician. They hired a dabaheah; a luxury pleasure boat named Hathor and set sail upon the Nile. Sadly Alan died in February 1897 on the Nile near Luxor. Edward Boardman’s partner Graham Cotman sketched the original hieroglyphics at the British Museum from which to work from. 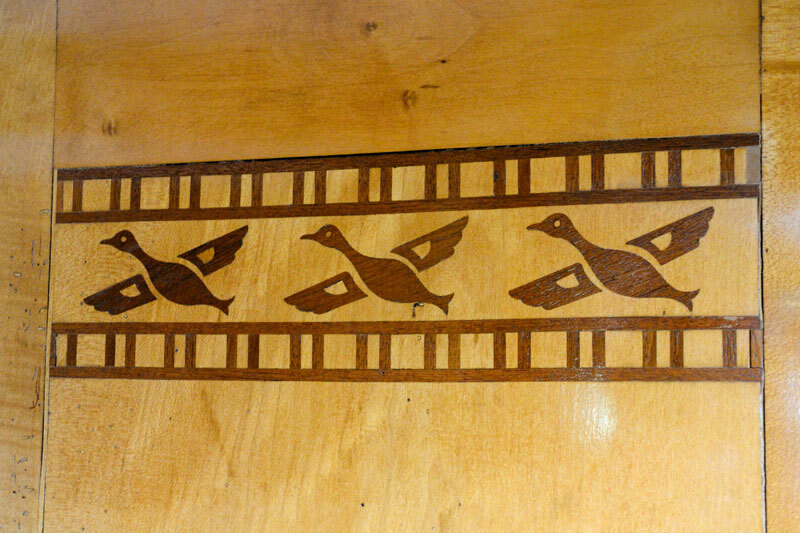 Egyptian inspired animals and symbols adorn the doors on Hathor. 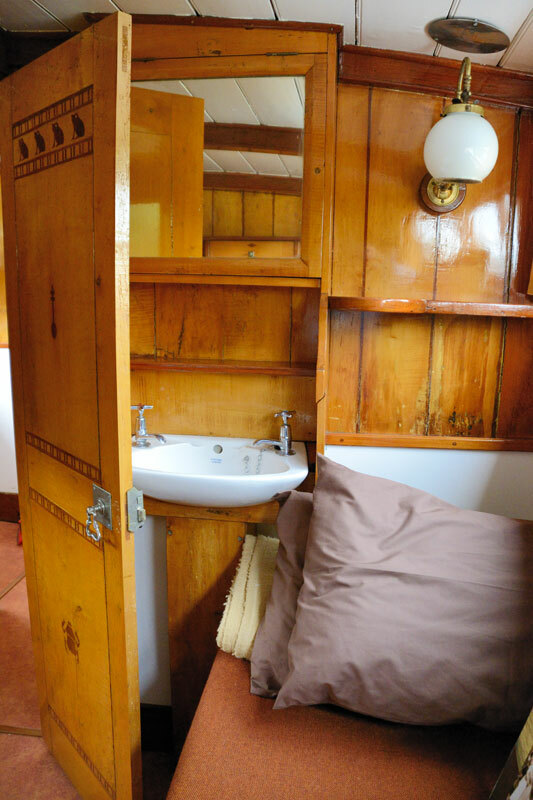 A double cabin aboard Hathor complete with washbasin and storage lockers. 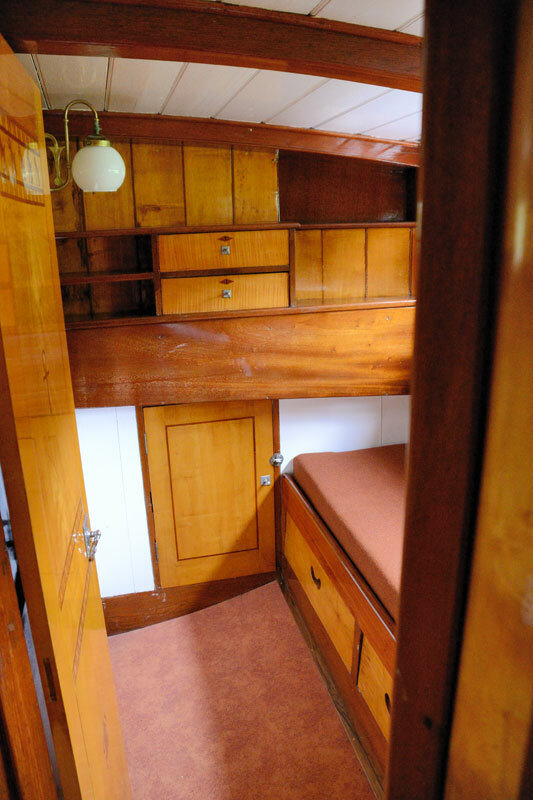 These cabins were for the Colman family and their guests, the crew’s quarters are aft, self contained and separate from the rest of the boat. 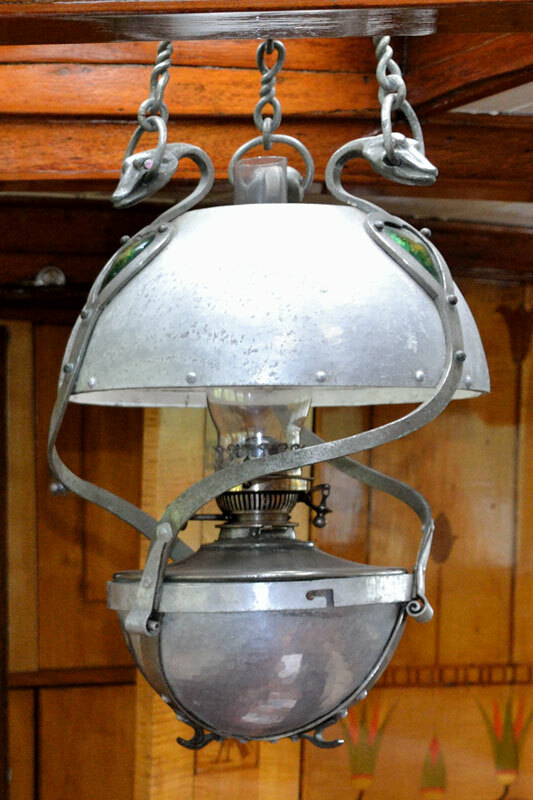 Hathor is clinker built made of oak with a pine mast. 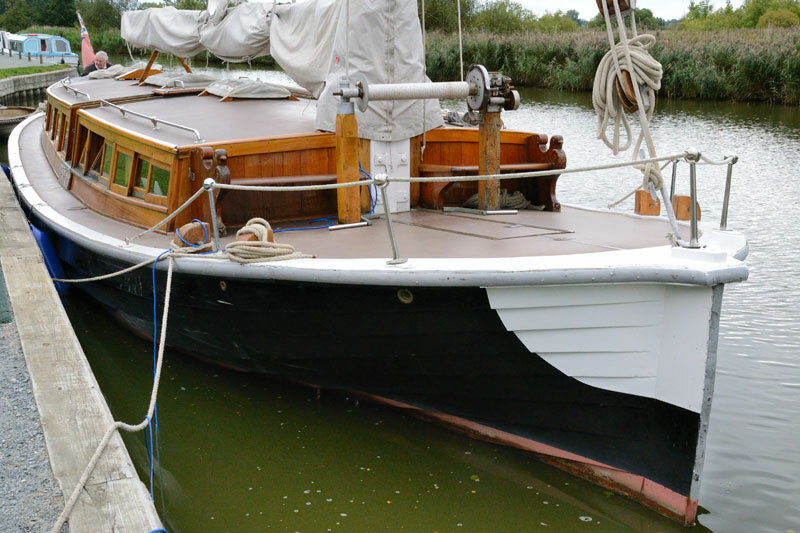 She has no engine but relies on the wind or quanting to make progress along the rivers and broads. 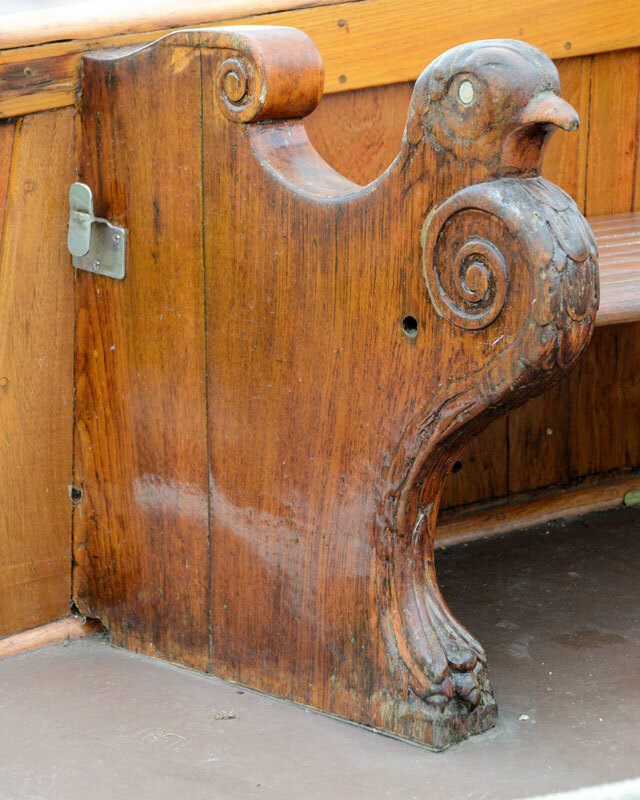 The bow features two benches with carved hawk’s head ends. 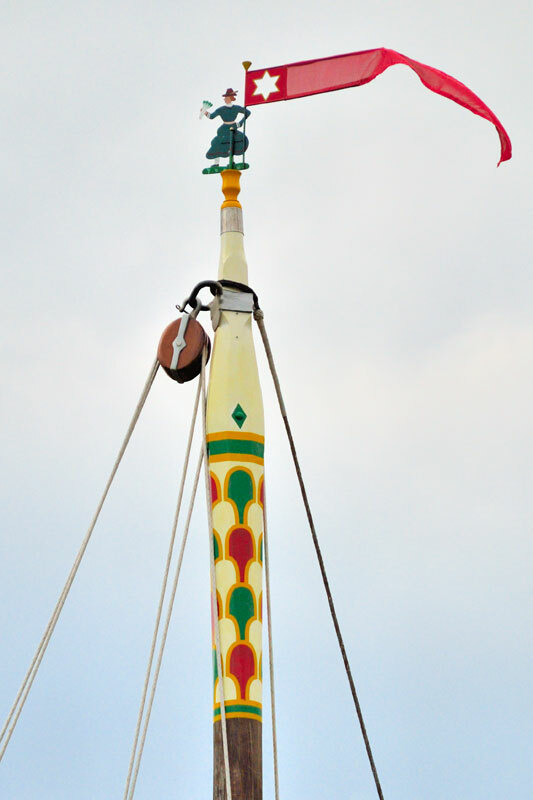 Wherry Hathor’s mast and ‘Jenny Morgan’ masthead wind vane. Peter Bower and Barney Mathews formed Wherry Yacht Charter as a non-profit making organisation in 1985. They purchased Hathor in 1985 subsequently restoring her to sailing order in 1987. She was in charter work until 2009 when she was laid up to await restoration. With her hull fully restored during 2013 she was back in the water by 2014 with just her interior needing work. Her re-launch celebrations took place at How Hill in May 2015. For more information on Hathor please visit Wherry Yacht Charter. The Norfolk Broads is a magical waterland, a uniquely beautiful environment, one of the most popular inland waterways in Europe. It provides the perfect setting for your boating holiday, short break or day trip.